Ensaf Haidar, wife of blogger Raif Badawi, takes part in a rally for his freedom in Montreal, on Jan. 13, 2015. Saudi Arabia has expelled Canada’s ambassador and frozen new trade deals with this country in a growing dispute over the Canadian government’s criticism of human-rights violations in the Islamic kingdom. This comes in the wake of statements by Foreign Affairs Minister Chrystia Freeland and her department last week where Ottawa called on the Saudis to release arrested civil-rights activists and signalled concern at a new crackdown in the Mideast country. In public statements on Sunday, Riyadh gave Canadian ambassador Dennis Horak 24 hours to leave the country and recalled its own envoy. The Saudis warned in a statement that any more criticism will be interpreted as licence to meddle in Canadian affairs. “Any further step from the Canadian side in that direction will be considered as acknowledgment of our right to interfere in the Canadian domestic affairs,” the Saudis said. A spokeswoman for Ms. Freeland said late Sunday night the Canadian government is trying to make contact with the Saudis. Two-way merchandise trade between Canada and Saudi Arabia exceeded $4-billion last year, a significant portion of it from a controversial multibillion-dollar deal to sell combat vehicles equipped with machine guns and cannons to the Saudis. Saudi Arabia is one of Canada’s biggest export markets in the Gulf region and more than 15,000 Saudi students attend Canadian schools and universities. Last week, the Canadian government publicly took the Saudis to task after the kingdom arrested two women’s-rights activists, the latest to be swept up in a government crackdown on activists, clerics and journalists. Those detained included activist Samar Badawi, sister of writer Raif Badawi who is already imprisoned in Saudi Arabia and sentenced to 1,000 lashes for insulting Islam. 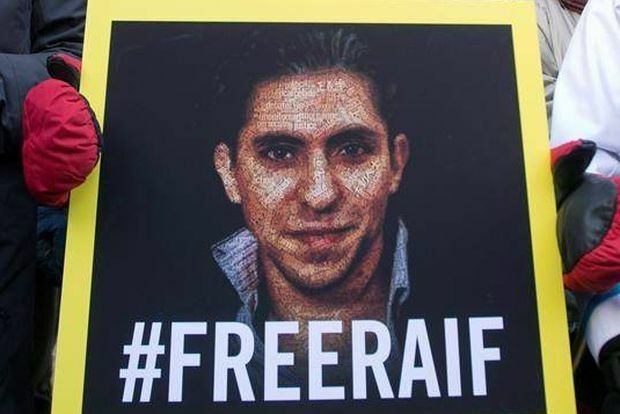 Ms. Freeland said via Twitter last Thursday that she was “very alarmed to learn that Samar Badawi, Raif Badawi’s sister, has been imprisoned in Saudi Arabia. Canada stands together with the Badawi family in this difficult time, and we continue to strongly call for the release of both Raif and Samar Badawi." Omar Allam, a business consultant in Canada who advises companies looking to do business with Saudi Arabia, said the Saudis are angry at what they consider foreign interference in their domestic affairs. Mr. Allam said the Saudi-Canadian relationship has been strained in recent years because of a public debate over whether to sell billions of dollars of armoured vehicles to Riyadh and the kingdom’s continued imprisonment of Mr. Badawi, whose wife and children now live in Canada. Ms. Badawi’s wife was recently granted Canadian citizenship. Mr. Allam speculated that: “There’s such alienation on the Saudi side they just put their arms up and said ‘Enough is enough,' "
The Trudeau government has taken a lot of criticism for issuing export permits for a deal to sell billions of dollars of weaponized armoured vehicles to Saudi Arabia, a country that ranks among the “worst of the worst” on human rights by U.S. watchdog Freedom House. Criticism of the deal angered the Saudis, who said publicly that the contract was intended to be a gift to cement friendship between the two countries and noted Riyadh could easily have awarded it to manufacturers elsewhere in the world. The Globe and Mail reached Saudi ambassador Naif Bin Bandar al-Sudairi by telephone Sunday but he said he was out of the country and too busy to talk. An English version of the Saudi government’s statement said Ms. Freeland and the Canadian government are wrong to criticize the kingdom.